What to Get at Condado Tacos | The Food Hussy! 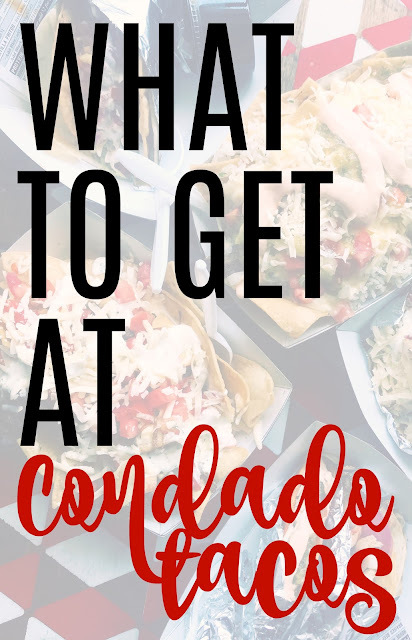 I'm a self-proclaimed taco afficionado so when I started working downtown and I realized Condado Tacos was open - it was like the heavens opened and angels sang out! Then they gave me a gift certificate - even better! 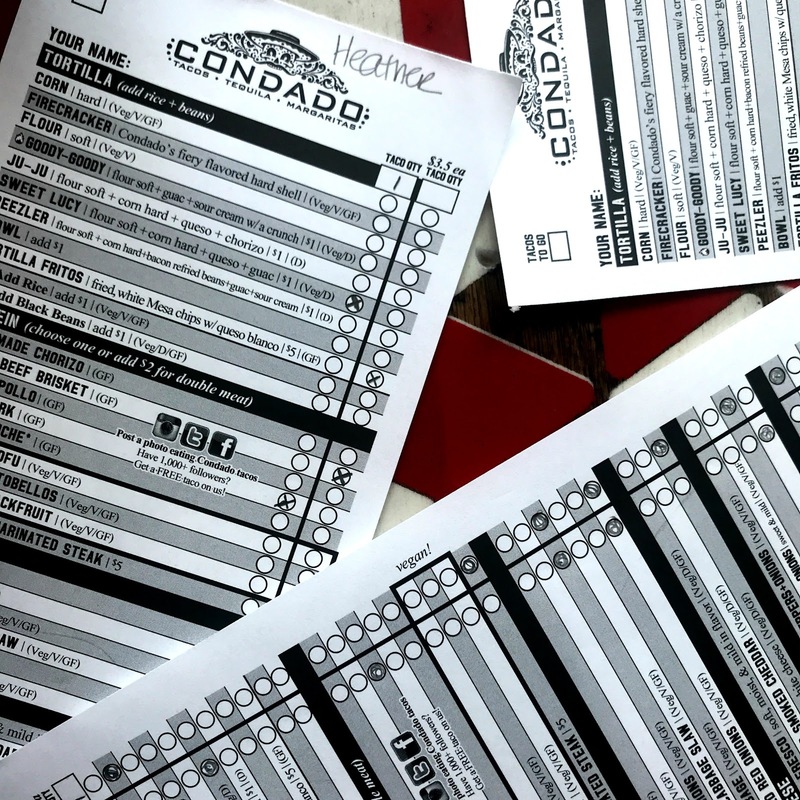 When you go - you can fill out a paper order sheet and get one of their pre-designed recos or create your own. 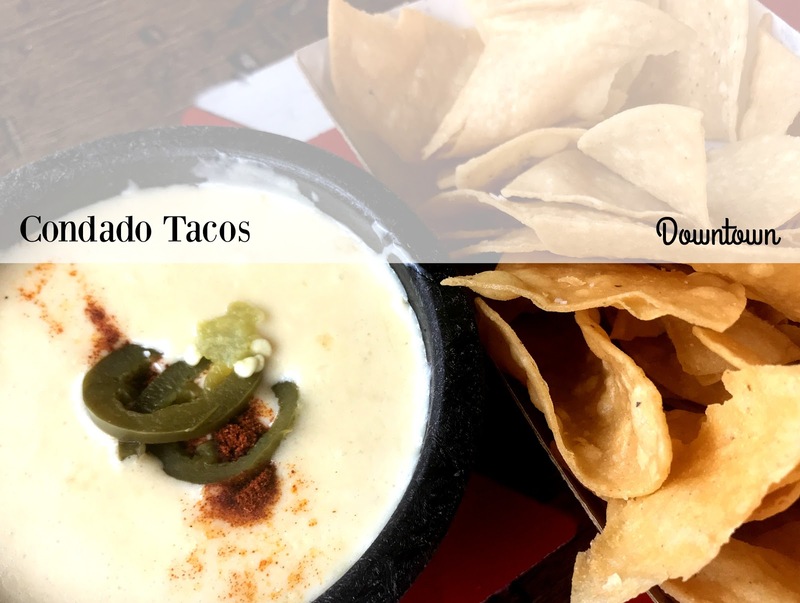 I have found that my combos aren't as good as theirs - at least until I'm familiar with their menu - so I went their way. Their protein options include chorizo, brisket, chicken, pulled pork, shrimp ceviche, thai chili tofu, roasted portobellos, bbq pulled jackfruit and ghost pepper marinated steak. Creativity abounds and vegetarians rejoice! 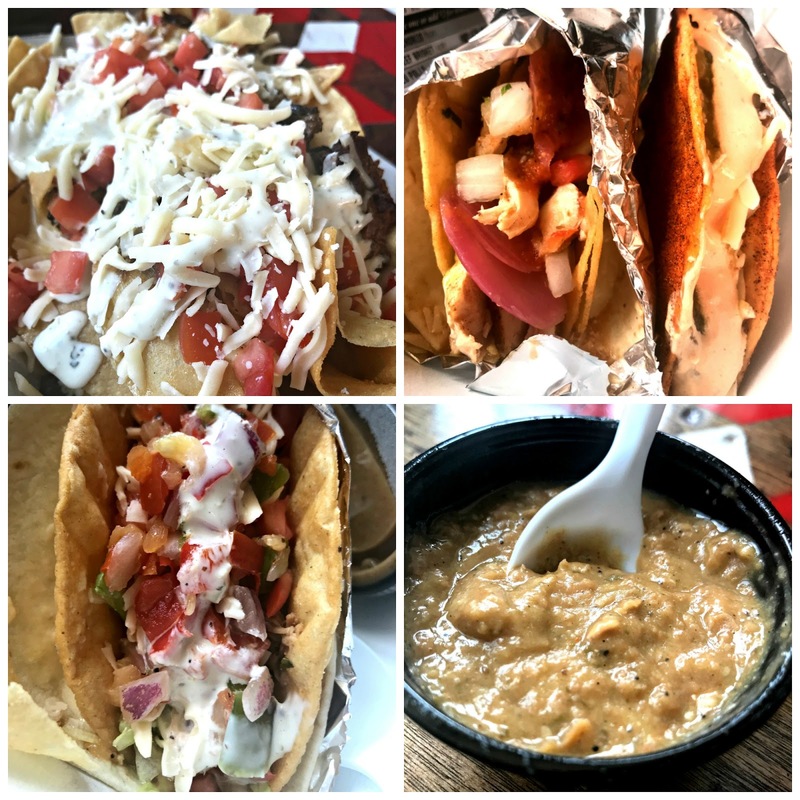 They also have toppings, salsas, sauces and sides - so there's lots of ways to customize your tacos. I definitely liked the pork more than the brisket and the Sweet Lucy better than the Nachos. The pork was juicy and tender...and the Sweet Lucy was super crispy and full of good stuff. I didn't like the nachos - they were too messy to eat. Nothing was layered into the chips so your top layer of chips had toppings - but then the rest were sogged. The beans were super spicy - and it's a small cup - like a ketchup cup size - just fyi. The queso was off that day as well - my coworker said it's normally really good but it wasn't melted all the way for us and had chunks in it. 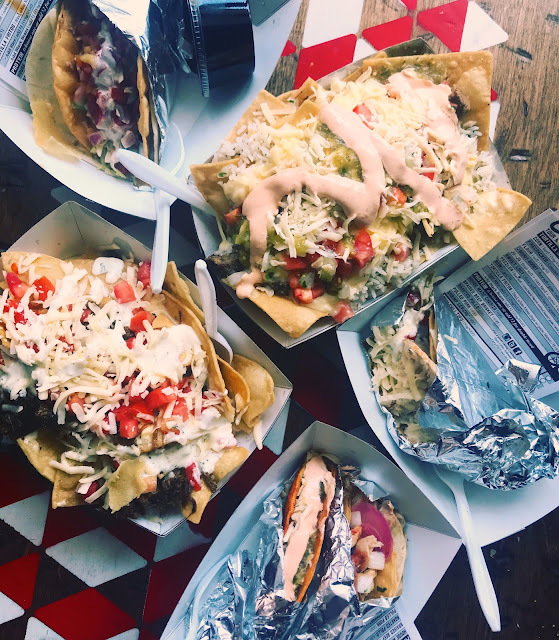 I would reco the Goody Goody (double decker + guac + sour cream) with pulled pork, cilantro, onions, pickled red onions, chihuahua cheese and pineapple salsa. Like it spicy? Add a sauce - there's a bunch to choose from!